If I Believe Beyond Redemption Is The Best Book Then It Is! 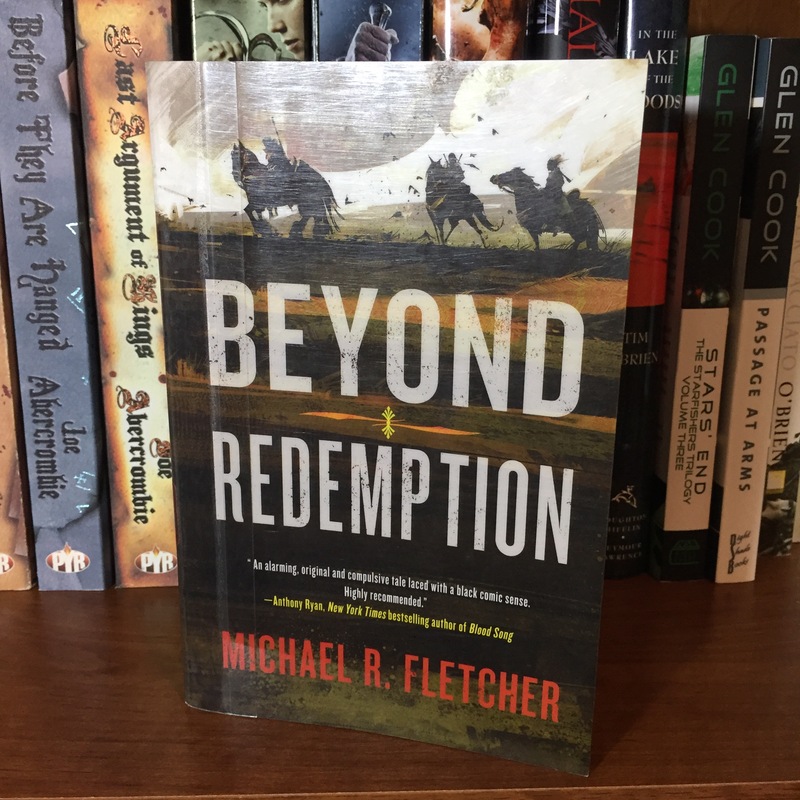 When I first saw Michael R Fletcher’s Beyond Redemption I was interested. Both the title and the cover art caught my eye. The premise captured me. I knew I’d be reading it soon and started shuffling my book plans to include it in! I’m very glad I did! 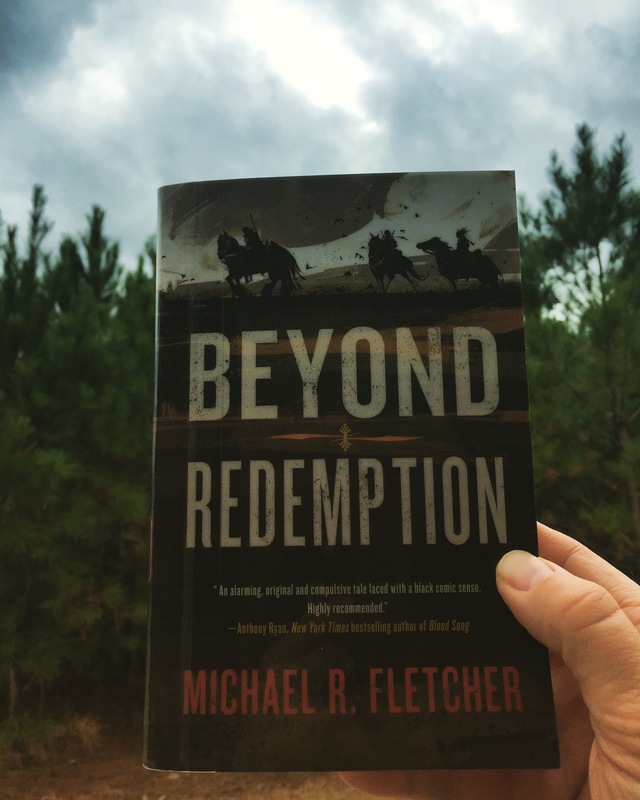 Beyond Redemption has become one of my favorite books from 2016 and will stay one of my favorites for a long time! This Dark Fantasy is rich in character, plot, and concept development! A very well executed story that draws you in. The premise of the story (Belief shapes Reality) is one I’ve often thought about, and I’m happy to see it dealt with in a Fantasy setting. The comparisons made between great power and great delusion are so interesting to see as they play out in the story. This is not a book for those who want clean cut heroes with stories that end happy. As the name implies these characters are bloody, gruesome, rough, dark, and difficult to be friends with; but you end up loving them anyways. Some stories TRY VERY HARD to be dark and in so doing become ridiculous or grotesque. This story doesn’t try to be dark, it is beautifully dark. It grips you and compels you to read on, from the quotes that start off the chapters, through the twists and turns of the story, and on to the final page. I couldn’t be happier with it and I have already purchased the sequel to go on further in the story! You can find the author on twitter here and you can find the book for sale here. 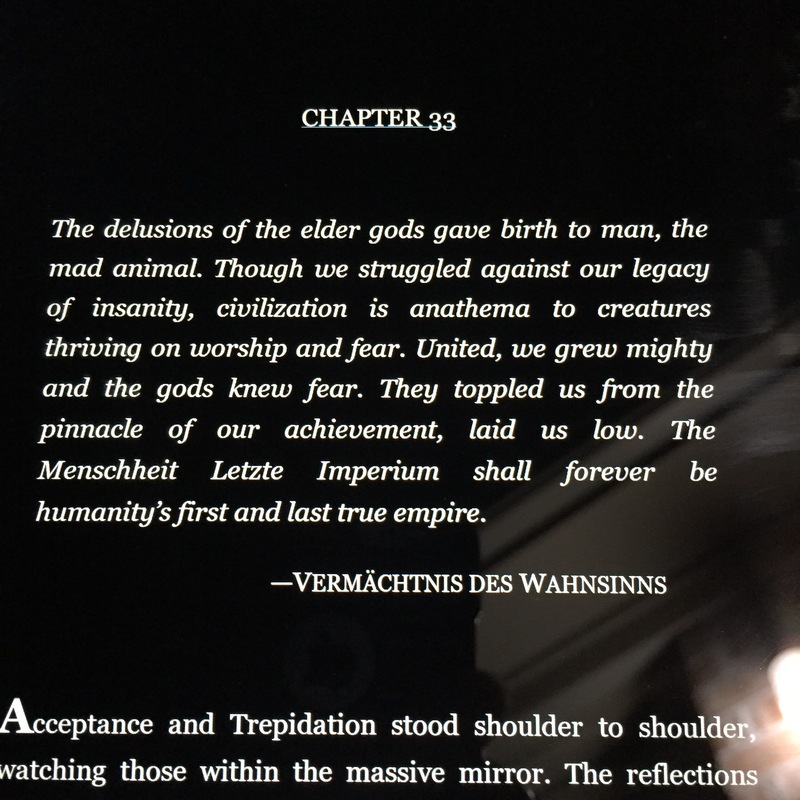 Give it a read and see if you can figure out who the title refers to! Just be prepared for a beautifully dark and thought provoking story! This entry was posted in Book Reviews, FirstAuthorContact and tagged BeyondRedemption, bookreview, Fantasy, GrimDark, MichaelRFletcher on December 28, 2016 by redstarreviews.